The second box displays the information of the point in the current map window on which the last time is clicked by the mouse. 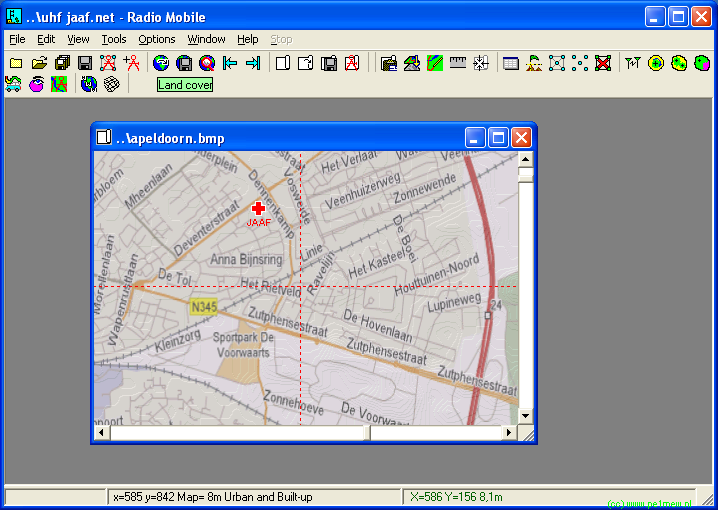 The third box displays the information of the location in the current map window over which the mouse is hovering. In the menu 'options > coordinates' the type of coordinate that will be displayed can be selected. When in 'Options > elevationdata' 'include land cover height' is checked, the status bar also displays clutter type, and clutter height. (eg: Clutter = 15 m Evergreen Needle leaf. 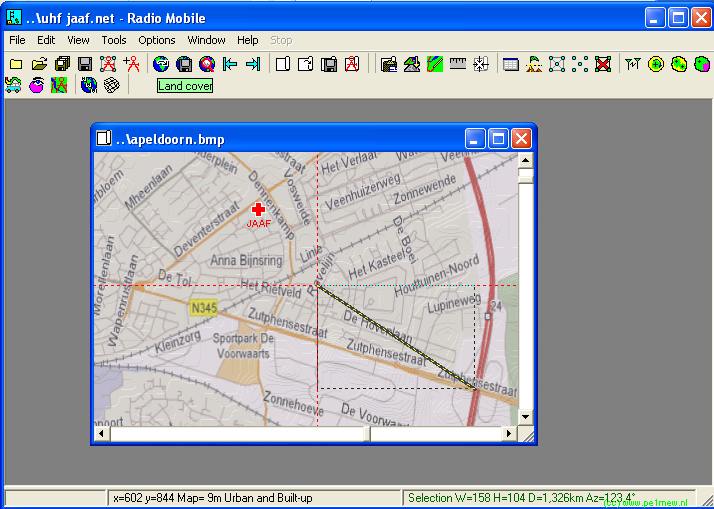 In this example a 'left-click' is performed at any place in the active map window. When the left mouse button is held from the point anywhere in thet current active window the distance and azimuth from the first click to the current point on the map is displayed in the third box of the Status Bar. When the 'shift-left mouse button' is held from the point anywhere in the current active window the distance and azimuth from the selected unit to the current point on the map is displayed in the third box of the Status Bar.